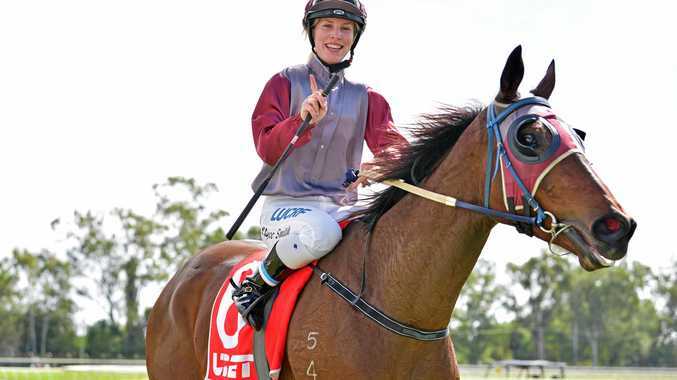 INITIAL REPORT: FRED Smith said his daughter and premier Rockhampton apprentice jockey, Elyce Smith, was in "pretty good spirits” yesterday after being seriously injured at the Thangool Cup race meeting on Saturday. The 20-year-old is in Rockhampton Hospital's intensive care unit after suffering a fractured skull, punctured lung, broken collarbone and broken ribs on both sides in an incident behind the starting stalls before the first race on the six-race program. She also has several small bleeds on the brain which are stable but being closely monitored. According to the stewards' report, Elyce was injured on the way to the running of the Linemac Ford and Mitsubishi BenchMark 55 Handicap 800m.